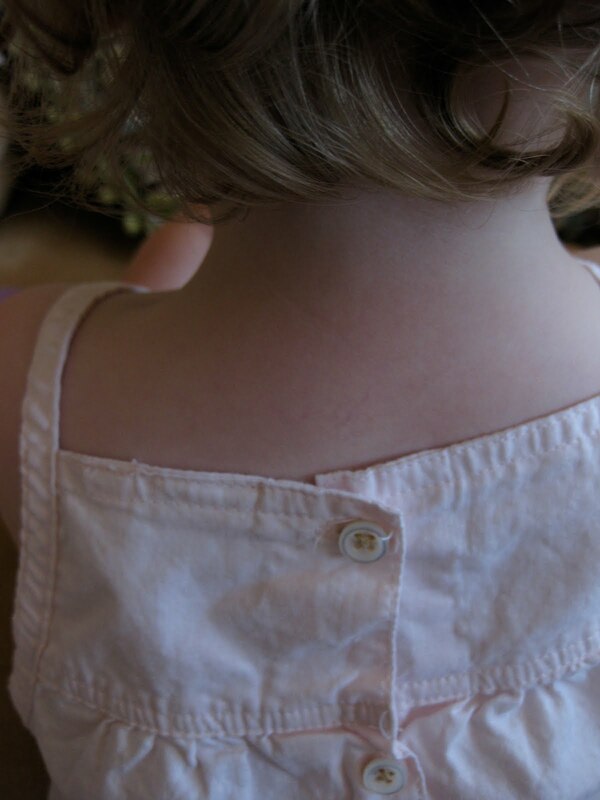 e was handed down a darling dress from a friend. 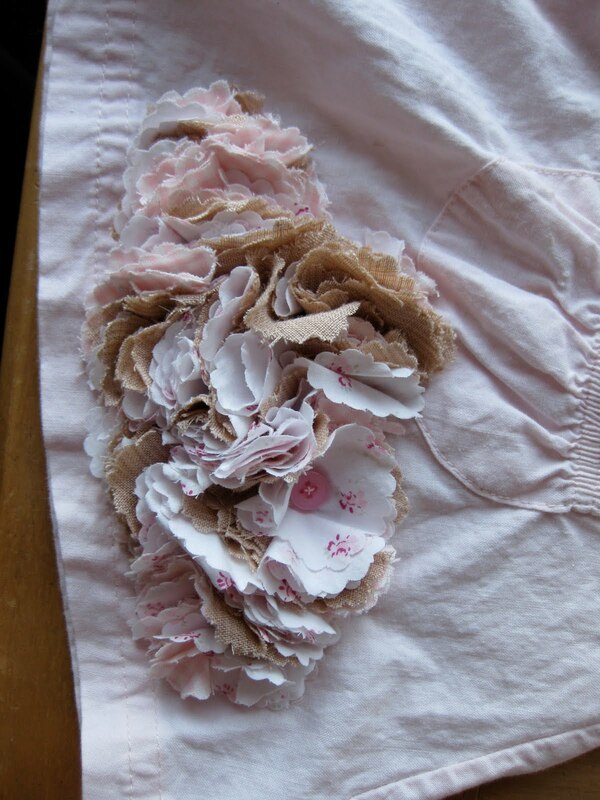 brand new, it has a great shape and is made of lovely fabric in a perfect pink. the only thing is that it had two big character patches on the front. cute, if you like characters on clothing. so i fixed it. i added fluffy patches of fabric right where the embroidered character was. 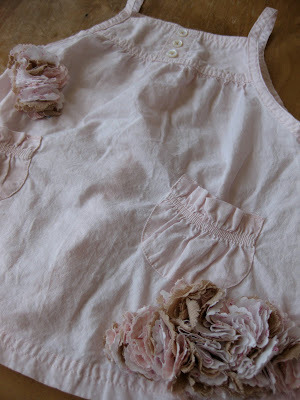 i used scrap fabric in two colors, and cut it into circles of varying size with my pinking shears. i sewed the fabric circles through the center of the circle right on to the dress, to cover the embroidery. after doing this many times, the new floral applique completely covers the original less desirable design. i put some little buttons in the middle of some of the circles to upen up the "flower" a little, and add a little interest. i replaced the pink plastic buttons with lovely pearl buttons. and thats it. i made the old into a new unique dress that we both love. it is that simple.